The Betrayal is the sequel to Helen Dunmore's 2001 novel, The Siege, set during the siege of Leningrad during WWII. The war has been over for seven years. Anna Levina is married to Andrei Aleksayev. Anna works in a nursery school & Andrei is a paediatrician at the local hospital. Anna's younger brother, Kolya, lives with them in Anna's family apartment, the place where they struggled & suffered through the cold, the starvation & the threat of bombing during the siege. Life for Anna & Andrei means being careful, careful not to stand out, careful not to antagonise the neighbours lest they tell the authorities that there are only three people living in a family apartment, never revealing your true thoughts to a colleague or a friend, keeping your voice low even when they are alone in case someone is listening. Every action is scrutinized & there is always someone willing to put a black mark against your personnel record if your commitment isn't considered patriotic enough. The memories of the siege are never far from the surface. Everyone who was in Leningrad during that time cannot forget, either the small acts of kindness or luck that kept you alive another day or the acts of cruelty & selfishness. She can still feel little Kolya in her arms, in the freezing darkness of the midnight apartment. He is so thin than she can touch each separate bone of his ribcage. His lips move against her neck, sucking in his sleep. She holds him all night, for fear that without her warmth Kolya will die. Anna's father was a writer, an intellectual who was persecuted during the purges of the 1930s. He was lucky to survive then but, like hundreds of thousands of others, he died of cold & starvation during the siege. Anna still has some of her father's writings carefully hidden in the piano stool. She hasn't even told Andrei about the papers, afraid that he would want her to destroy them. Anna & Andrei are conscientious workers, doing the best for the children in their care even when silence may be the more sensible course to take. The Levin family's dacha outside Leningrad miraculously survived the German advance at the end of the war & Anna, Andrei & Kolya spend weekends there, repairing the house & cultivating the garden. It's the only place where they can breathe & relax, forgetting the restrictions of their everyday lives. It's beautiful here. Lots of people wouldn't think it was. But when you've hunted mushrooms in the woods year after year, and you know all the best places; when you've fished every pool and stream and know where the trout hide on the stony bed while water ripples over their backs; when you're covered with scratches from foraging for berries; when you come home dusty, sweaty and triumphant with a load of firewood; when the marshes have sucked at your boots as you've jumped from tuft to tuft; then you love it with all your heart. You want it to live forever. Your own death doesn't seem to matter as much. Andrei is maneuvered by a colleague into seeing a child with a possible tumour in his leg. Cancer isn't Andrei's area of expertise, he looks after children with arthritis, but he knows why his colleague is reluctant to get involved. Gorya Volkov's father is an important man in State Security, a man who has the power to make you disappear. Even being noticed by such a man carries danger. Andrei is well aware of the danger but agrees to see Gorya. It soon becomes apparent that the tumour is cancerous & Gorya's leg must be amputated. Andrei is aware that there's a chance that the cancer will spread & he's the one that has to tell Volkov the prognosis. But how has it come about that I'm in this room, with this man? Andrei asks himself, as his clinical eye notes the pallor of Volkov's face, his heavy breathing and the dilation of his pupils. Anna and I were always careful. We believed we'd thought of everything that could happen to us, but we never allowed for this. Is it just chance or is it fate? If it's fate, then this was coming towards me all my life, even when I was happy and completely unaware that there was any such child in the world as Gorya Volkov. I was here in this hospital, and Volkov was wherever such men have their offices. Anna has always said that the important thing is never to come to their attention. When the cancer does spread & it's certain that Gorya will die, Andrei receives a phone call in the middle of the night, suspending him from his work at the hospital. He is abandoned by nearly all his friends & colleagues although he does hear that the surgeon, Brodskaya, who operated on Gorya, has also been investigated, even though she had left Leningrad & taken an inferior job as far away as she could go. The inevitability of what follows is still suspenseful as Andrei waits at home for the next phone call or the sound of a car stopping outside the apartment building in the middle of the night. Anna is pregnant & they try to make plans that will keep Anna, Kolya & the baby safe. He should have let Anna stay home with him. They should be together. Or perhaps that is completely wrong. Perhaps the only way to save her is for them to be quite separate. He should go off somewhere, far away. She should say that she threw him out because she was so ashamed of having a husband who had to be investigated. Yes, the example of Pavlik Morozov was the one for Anna to follow. Let her denounce him. Inevitably Andrei is arrested, interrogated & moved from Leningrad to the Lubyanka prison in Moscow. The State has decided that doctors are part of a conspiracy to eliminate important Party members, just as in the 1930s scientists were targeted & in the late 1940s, artists & musicians were denounced. He is kept in solitary confinement, apart from one short period when he's put in a communal cell by mistake. The knowledge that he is not alone sustains him through the punishments & the degrading conditions where his only mental resource is to go through his medical training to stay sane & stop him thinking of what might be happening to Anna on the outside. Anna & Kolya leave Leningrad & go to the dacha, not knowing Andrei's fate &, with the help of Golya, a family friend, wait for Anna's baby to be born. 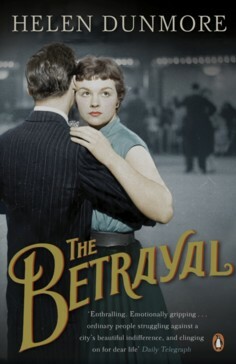 The Betrayal is a beautifully-written, incredibly tense & suspenseful novel. 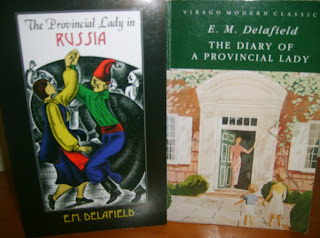 Helen Dunmore is a poet as well as a novelist & her writing is full of striking images, especially in the lyrical scenes at the dacha, where life seems almost normal, as if the war & the terror of State control was far away. I was reminded of a movie I saw many years ago, Burnt by the Sun, the story of a Red Army officer during the purges of the 1930s. The opening scenes at the officer's dacha in the height of summer, before his fall, have the same quality of innocence before unimaginable darkness moves in. Inevitably I also thought of Into the Whirlwind by Eugenia Ginzberg, the remarkable memoir I read a few months ago. Dunmore shows how easily innocent people can become guilty, because of a change of policy or just by being conspicuous. Putting your head above the parapet is always dangerous even if, like Andrei, your conscience & sense of duty gives you no choice. Once you're part of the so-called justice system, then the steps are preordained & there is rarely any escape. I don't think it's necessary to have read The Siege before reading The Betrayal, especially if, like me, you read The Siege back in 2001 when it was published. I had no trouble getting my bearings even though I could remember very little of the plot of the first novel apart from the powerful effect the book had on me. Andrei & Anna remember past events & put their present lives in the context of their past. Their memories sustain them & also act as a warning of the arbitrary nature of life in a totalitarian regime. I didn't know Dunmore had written a sequel to The Siege. I'll have to check it out. Thanks! I loved The Siege, and didn't know there'd been a sequel. Many thanks for flagging this up. The Betrayal was published 5 or 6 years ago so it's taken me a while to get to it but worth the wait. I've wanted to try something by this author and this one really sounds good. I've enjoyed all the books by HD that I've read but The Siege & The Betrayal are probably my favourites. I've only read The Greatcoat by Dunmore but quite enjoyed it. So glad you wrote about these two books, Lyn, as they'll suit one of my library customers perfectly. And me! I enjoyed The Greatcoat too, I love a good ghost story. Readers Advising is a wonderful challenge, isn't it?